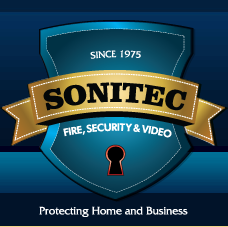 Sonitec Security Systems can custom design and install state-of-the-art access control systems to meet your home and business security needs. We provide expert installation of Doorking, Keri, Bosch, S2, RBH, and Honeywell access control systems in the New York City , Westchester, Rockland , Fairfield and Bergen counties. Access control systems manage the entry and exit of people through a secure area. It is a critical aspect of a complete intercom and security system for your building or business. The access control system distinguishes authorized from non-authorized requests for entry. Access to a building ,office, clubhouse, laundry, warehouse or more can be controlled by a Key Fob, Card, Eye Scan, Fingerprint reader or Keypad. Our access control systems assign a digital signature to each individual. Upon detection, the controller matches a set of permissions to that digital signature and acts accordingly to either grant or deny access to the individual. Additionally, a log file is created for monitoring purposes, storing the name, time and location of each event (i.e. each entry attempt). For businesses and buildings, we highly recommend integrating the access control system with your video intercom system, adding security and convenience. For buildings with locked elevators, the access control system will add even more security and convenience by allowing you to access your floor using an access card, keypad, or finger print reader. Our access control systems can be programmed remotely through the Internet, eliminating the need to pay for service calls when individuals need to be added or deleted from the system.